This entry was posted in Weekly Recaps and tagged cerebral palsy, friends, road trips. Bookmark the permalink. 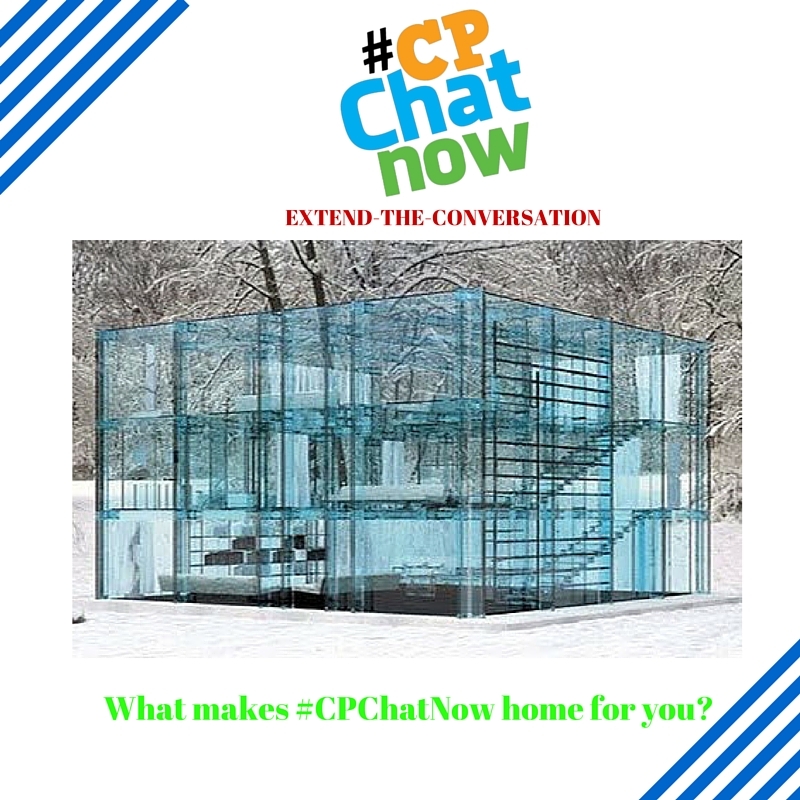 Two elements to #CPChatNow stand out and make the community home for me. First, our welcoming attitude. We have a welcoming attitude which makes people feel comfortable. Secondly, the advice we give each other is homily. A home should be comfortable but also push us to grow and be even better. The aforementioned advice does so.